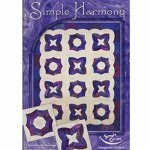 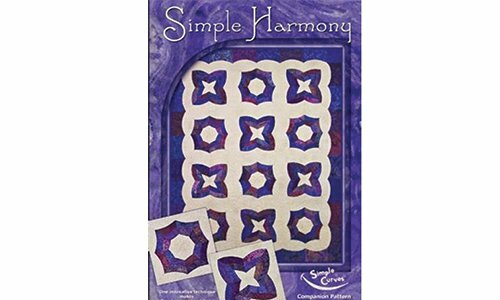 Lap: 72" x 72" Double: 72" x 92"
Queen: 92" x 102" King: 102" x 102"
Using one innovative technique,.........you create two Harmonizing Blocks! 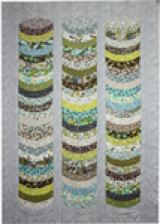 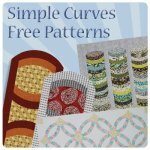 It's a fun fast pattern you're sure to enjoy. 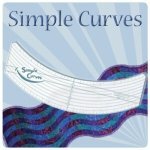 The pattern requires the Simple Curves Tool. 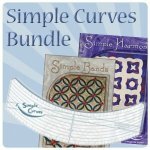 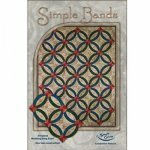 Also try the Simple Bands Pattern!